Located 23 miles east of Dallas, in Forney TX, the Forney International Bistro has a uniquely International atmosphere, where art, music and the Crumbzz culinary creations coexist as a harmonious symphony. The offerings and atmosphere is more like Italy or France than small town Texas. And that's just how Executive Chef and Owner J Stephen Sadler likes it. "Most first-time guests are amazed that something like this is in a small town such as Forney, but we are quite comfortable in our new home. We knew we had the finest crumb cake in the world and so we wanted to make sure our Tasting Pavilion offerings and atmosphere complimented our brand." 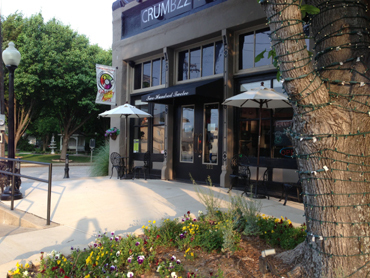 Whether you enjoy our Bistro for dining or for a Forney special event, we are sure you will love Crumbzz. And the word is out. From visitor Facebook and Twitter posts to Pinterest photos to major dining publication reviews, the Forney International Bistro is a big hit. But why not? Fantiscritti Tuscany Italian Marble counters from the same quarry as Michelangelo's statue of David are complimented by Buckingham Slate floors and the original preserved bead wood ceiling of this historic Forney structure. Custom Corona accent lighting peeks through the beautifully sculpted, free-floating Velella sails that drift down from the ceiling. Authentic stage lighting is strategically placed to highlight the beautiful artwork of the local artisans of the Forney Art Council. Sounds of Bocelli and Brightman fill the dining area, where guests enjoy the comfort of Carrera leather seating and sculptured aluminum tables, all designed to add to the chic feel of this exquisitely contemporary pavilion. Each element is designed to provide our guests with an environment where they feel comfortable to kick back and enjoy the moment. The unique look and feel of the Forney International Bistro has already attracted attention from architects (famed architectural photographer Howard Doughty was one of our first visitors to photograph the many unique architectural elements of our Pavilion) to movie producers (the producers of the short film New Hope found Crumbzz the perfect location to set the stage for their film, which will be aired at the LA 168 film festival in March). 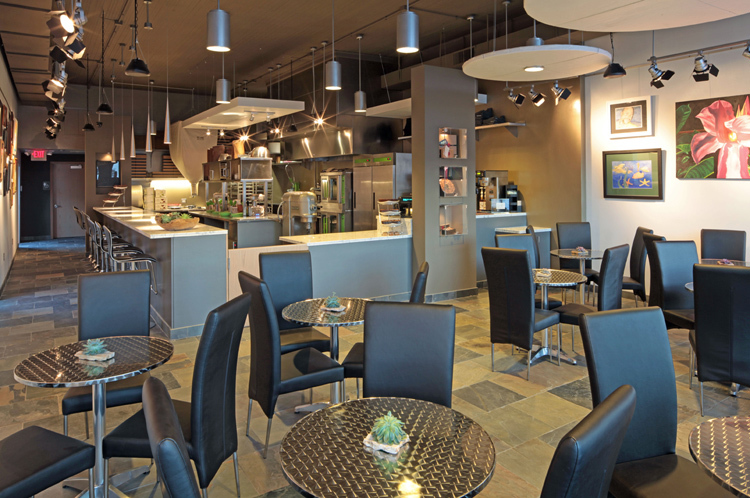 But style means very little without substance and the Forney International Bistro's offerings provide the substance that makes this little bistro a very special place. 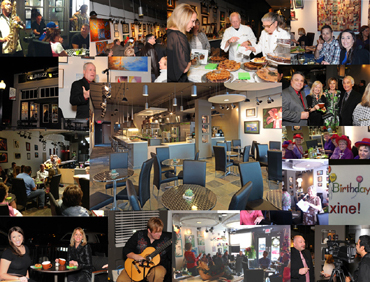 Click to View Our Savory & Delectable Offerings! Click to View Our Forney Event Planning Guide!